Ground Turkey and Clam Sauce with Linguine is simple enough for an easy weeknight meal but fancy enough for company too! 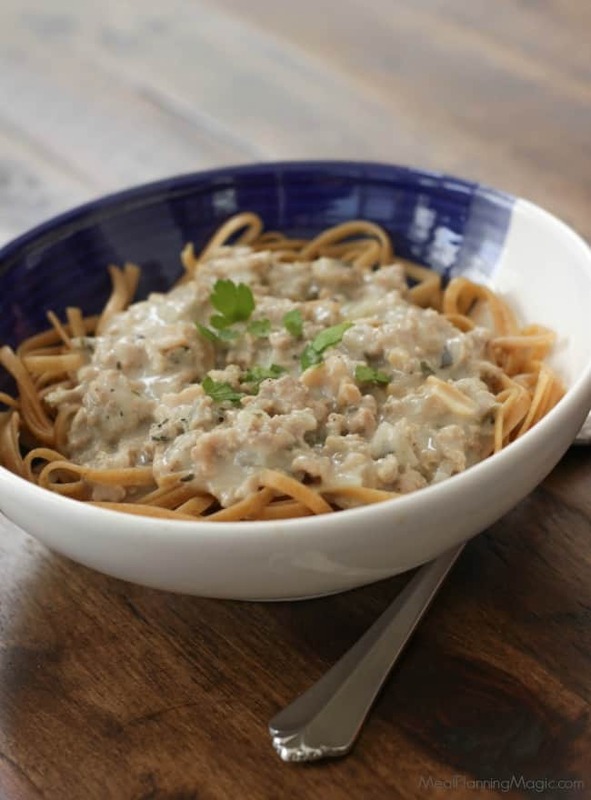 Click here to PIN this Ground Turkey and Clam Sauce with Linguine recipe! I can’t believe it’s taken me so long to share this Ground Turkey and Clam Sauce with Linguine with you all! Many years ago (it seems like in a former life!) I was a Tupperware consultant. During that time, I used my discount to purchase some of the Tupperware cookbooks that were published at the time and go the pasta cookbook. 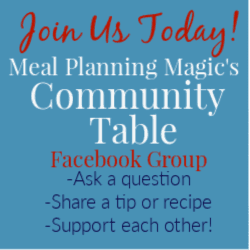 You may remember that my 20 Minute Peachy Ground Turkey Meatballs are also from a recipe I found when I was a Tupperware consultant. I guess I was lucky to find some winning recipes so long ago! I started making this sauce well before we even had kids and it has been a favorite ever since! My daughter, who is now a teenager, claims it as one of her all-time favorite meals. I’ve tweaked it a bit over the years to make it my own so am sharing the recipe with you all today. It does call for dry white wine but since I don’t drink wine all that often, I usually buy those little individual bottles of wine to keep on hand for cooking. (I do the same with red wine for my Slowcooker Classic American Chili recipe too!) The alcohol cooks off but if you don’t want to use it at all, you can also just substitute chicken broth. 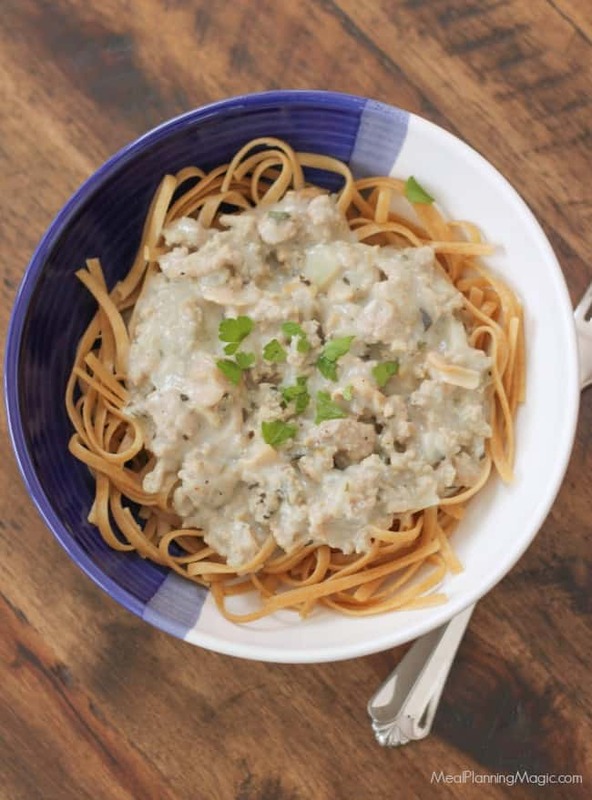 The best part is that this Ground Turkey and Clam Sauce with Linguine is so easy to make making it an easy weeknight dinner. But it’s also fancy enough that when paired with a garden salad and perhaps some garlic bread it is perfect for company too. Ground turkey and canned clams (found in the same section as canned tuna) are the base and with the addition of some chicken broth and milk and some herbs, you can make this meal in under thirty minutes or less! The bonus? You can make it ahead and store in the refrigerator up to two days or even freeze it in a freezer safe container for up to three months. I hope you’ll give it a try soon! Cook the pasta according to the directions on the package. Drain the pasta, cover and keep warm. In a large sauce pan (I use a non-stick pan, if you don’t have one use a non-stick spray first), cook ground turkey, onion, garlic, basil, salt and pepper in the saucepan until the turkey is no longer pink and the onion is tender. Stir flour into sauce pan. Add chicken broth and milk, Cook and stir until thickened and bubbly. Cook and stir for 1 minute more. Stir in clams, parsley and white wine; heat through.